Few companies cherished tradition like the Great Western Railway (GWR). 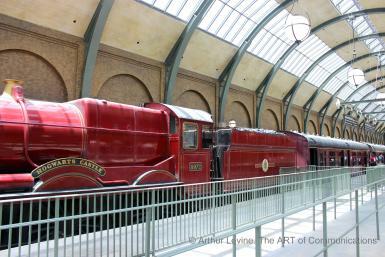 Look at its premier express engine, the King class. Brass and copper decoration, ornate green livery, bold brass name and number plates – only the size shows it isn’t a Victorian creation. But look more closely, and underneath you will find a thoroughly modern engine, more advanced and more powerful than anything else in Britain, and the climax of 30 years of steady development. The GWR was one of Britain’s oldest and largest railway companies. It was formed in 1835, to link London with the port of Bristol, 120 miles to the west, and was engineered by the mercurial genius Isambard Kingdom Brunel. Uniquely, the GWR didn’t use the standard gauge of 4feet 8 ½ inches – Brunel decided a broad gauge of 7 feet offered a more stable and smoother ride as well as greater capacity for heavy loads. This allowed him and his locomotive engineer Daniel Gooch to develop spectacular engines like the Iron Duke (this is a replica at the National Railway Museum) but the cost and disruption of interchanging with standard gauge lines made the broad gauge unrealistic for the long term. By 1846, legislation required standard gauge be used for new lines, and the GWR eventually converted its last broad gauge lines to standard in 1892, bringing to an end sights like this, but leaving a legacy of a wider loading gauge than other British lines that persists to this day. The GWR and the other companies all saw a big increase in the demand for the speed and comfort of its express trains from 1880 onwards, as passengers sought more comfort and shorter journeys. This created a challenge of how to power heavier and faster trains, both on level tracks (the line from Bristol to London is the flattest mainline in Britain) and over steep banks in Devon, as engines like City of Truro struggled to cope with increasing loads. The GWR entrusted this dilemma to its Locomotive Carriage and Wagon Superintendent (later known as Chief Mechanical Engineer), George Jackson Churchward. Churchward (1857-1933) was born in Devon, and spent his entire working life on the GWR , with over 40 years at the huge Swindon works, 40 miles east to Bristol en route to London and then one of the biggest railway works in the world. He reached the top job in 1903 after several years as de facto Superintendent as his predecessor ailed. Churchward was a man with a vision, and a remarkably modern one – standardisation of locomotive parts across different classes, coupled to leading edge design and manufacturing techniques. His ideas were first seen in the ‘Saint’ class of 4-6-0 in 1905. These followed a period of research, which including importing three Atlantic type engines from France, built to the design of Alfred de Glehn and similar to ones on the Chemins de Fer du Nord, and named La France, President and Alliance. The French engines were compounds (with steam used twice, in high pressure and low pressure cylinders), and Churchward used them to test the options of compounding and wheel arrangement before selecting his preference – a simple (i.e. not compound) 4-6-0, with two cylinders and a tapered boiler with a Belpaire firebox. A tapered boiler is narrower at the front than at the firebox, a design which is more complicated and expensive to build but provides thermal and weight advantages. A Belpaire boiler (named for its Belgian inventor, another Alfred) has a square profile at the top, to create more surface area to improve heat transfer and steam production. Churchward’s were among the first in Britain, and it remained the GWR standard until the end of steam over 50 years later. Along with the livery and taper boiler, it made a GWR engine unmistakeable. The Saints were a success, with 77 built by 1913. But the long distance expresses needed more, and Churchward, true to his standardisation principles, used the Saints as the basis for his solution – the Star class. The Stars were basically a four cylinder Saint, sharing the firebox, boiler, wheels and basic running gear with their two cylinder relatives. For non-experts, the only visual distinction, except the names, was the shape of the casing over the outside cylinder – on the Stars (below), it necessarily incorporated the steam chest, which was within the frames of the Saint (above). The Stars’ great advantages, as well as higher power outputs for similar coal consumption, were a smoother ride (so doing less damage to the track) and the ability to run up to 130,000 miles between overhauls. The first Star, no 4000 North Star, (an old broad gauge name) appeared in 1906, with driving wheels 6ft 8½ inches in diameter, cylinders 14 inches by 26 and boiler pressure of 225lb per sq inch. The nominal tractive effort of a Star was 25,090 lbf – a huge figure for the time. By 1923, the GWR had 73 of these impressive engines. But more impressive than the dry numbers was how effectively the power was used. Reputedly, one GWR Director asked Churchward why two of his engines cost as much as three of other railways’ 4-6-0s. ‘Because one of mine will pull two of theirs backwards’ was the response. A contemporary of the Stars was the London and North Western Railway’s Claughton class 4-6-0s, but they trailed a long way behind in usable power. On paper, they were comparable. But the LNWR boiler lacked the steam raising power of the GWR standard, and the valve gear and cylinders lacked the free flowing steampipes and valves that Churchward had perfected. So the Stars were the most powerful and capable express engines in Britain until the LNER’s Gresley Pacifics appeared in 1923. But just as the LNER seemed to be eclipsing the Stars, the GWR introduced the Castle class, starting with no 4073 Caerphilly Castle, which was on paper the most powerful express engine in Britain. And just as the Stars built on the standardised components of the Saints, so the Castles built on the Stars. The basic formula was identical – 4-6-0, with driving wheels of 6ft 8 ½ inches; a tapered boiler with a Belpaire firebox; four cylinders with Walschaerts valve gear on the outside cylinders which also drove rocking gear for the inside cylinders. Except for the enlarged cab, Castles look to most people to be visually identical to the Stars – the traditional appearance was maintained, with a copper chimney, brass safety valve cover and the brass name and number plates, and the ornately lined green livery. But the boiler, firebox and cylinders were all carefully enlarged, so more steam could be generated and then effectively used. The LNER refused to believe the GWR’s claims for power, until the smaller GWR engine bested their new Pacifics in the first real comparative test between any of Britain’s railways. This led to Gresley improving his Pacifics along Great Western lines, with higher boiler pressure, better superheating and revised valve gear, turning them into the masterpieces they were. But by the mid-1920s, the GWR’s key west of England and Birmingham expresses were taxing the Castles to their limit, and another step forward was needed. Under the GWR’s dynamic General Manager Felix Pole, and new CME Charles Collett, Swindon developed the ultimate Churchward standard engine – the King class of 1927. As with the Castles, this was basically an enlarged version of its predecessor, with a larger boiler and firebox feeding larger cylinders. The big difference was a reduced driving wheel diameter, of 6 feet 6 inches. Felix Pole was determined to have the most powerful British engine, as measured by the calculated tractive effort, and reducing the driving wheel diameter pushed the King ahead, to 40,300 lbf, compared to the Castle’s 31,625 lbf – the first British design to get over 40,000 lbf. The first, no 6000 King George V, was named for the ruling monarch, and the following 29 followed the sequence of Kings (but not Queens!) back to King Stephen, who reigned 1135-1154. Once teething issues were sorted, the Kings became superb performers, capable of handling virtually any size of passenger train the GWR required, on both the London – Bristol billiard table and the banks of south Devon. The Great Western took locomotive names seriously, and named a far higher proportion of its fleet than other companies. This is the standard GWR style nameplate – all the Stars, Castles and Kings had them. And Kings 6029 and 6028 were renamed as King Edward VIII and King George VI in 1936-37, as the throne changed hands. Like all of Churchward’s engines, the Kings performed best on Welsh coal, with a higher calorific value than coal from other British coalfields – while the engines used a smaller weight per mile than, for example, Gresley’s Pacifics, the smaller grate area on the Belpaire firebox demanded that the coal produce more energy per ton than the broader fireboxes on the LNER to maintain the steaming capacity. In 1927 King George V went further west, as the sole British participant in the centenary celebrations of the Baltimore and Ohio Railroad, the first American railroad. The Americans presented their visitor with a commemoration bell, making the King the only British engine with an American style bell, which she carried until withdrawal in 1962. The bread and butter of all three classes of 4-6-0s was the Great Western’s expresses west from London to Bristol and south Wales; north west to Birmingham, Birkenhead and Chester; and south west to Exeter, Plymouth and Penzance. Among this fleet, three trains stand out. The Cornish Riviera express was the premier train to the south west, scheduled in the 1930s to reach Plymouth at an average of 60mph. This may not sound much today, but back then it was something to boast about. Castles and then Kings were used all the way from 1923 to the mid-1960s, when diesel hydraulics took over. The Kings were not eclipsed by steam power – despite their age, they remained the Great Western’s and then British Railways Western Region’s first choice. The Cheltenham Flyer was what it said it was – a light, fast express from the spa town of Cheltenham in Gloucestershire to London. The GWR progressively accelerated the train until by 1932 it was scheduled to run the 77 miles at an average speed of 71.4mph, which the GWR claimed as the fastest train in the world. One run, by Tregenna Castle, as timed at an average of 81.6mph. The Bristolian was the GWR’s centenary present to itself in 1935 – a high speed service between its original termini of London and Bristol. It was scheduled to take 105 minutes for the 120 miles, 15 minutes faster than the GWR’s regular expresses, with a lightened load of just seven coaches behind a King. This schedule stands comparison with the streamlined Anglo-Scottish expresses of the LNER and LMS. And the GWR tried streamlining – in a fashion. One King and one Castle were fitted with shrouds like this – you get the sense their heart wasn’t really in it! The greater weight of the Kings compared to the Castles prevented wide use of the class beyond the key mainlines; production of the Castles resumed in 1932, and eventually reached 171 examples, with the last built in 1950 and named Swindon, after the birthplace of this remarkable line of engines. Others in the last batch were named after Brunel, Churchward and the company itself. After WW2, and the nationalisation of Britain’s railways, the GWR became the Western Region. But to most eyes, little changed. After a short-lived experiment of dark blue, the engines were still smartly turned out in lined Brunswick green, and pulled trains of chocolate and cream coaches. Development continued, however, with double chimneys fitted to the Kings and most Castles. Here, a new Mini photobombs a Castle at Paddington, in a BMC publicity shot. Not until the 1960s was change apparent. Under the 1955 Modernisation Plan, each Region of BR went its own way in a rush to dieselise or electrify. CC has already seen the mighty Deltics of the Eastern Region; the Western was even more exotic, with Britain’s only fleet of diesel hydraulic locomotives, derived from German practice. From 1961, the Western class (so known as all 74 had names beginning Western just to make the point – this is D1015 Western Champion) began to appear, and by 1962 the Kings had all been withdrawn. The Castles hung on until 1965. Last to go was 7029 Clun Castle, now one of several preserved Castles. King George V was preserved as part of the National Collection, but was not in working order until the Bulmer’s Cider company sponsored a restoration in 1971, which culminated in her being the engine being the first steam engine to run on the mainline after the end of Flying Scotsman’s running rights. 6000 herself, proudly wearing her B&O bell, is now resting at the STEAM museum at Swindon – the last remaining part of the once huge Swindon works – where she sits beside Caerphilly Castle, while Lode Star flies the flag for Great Western power, innovation, standardisation and tradition at the National Railway Museum in York. Sadly, King George V is no longer in working condition, with an expensive overhaul needed. This is unlikely to happen, as there are two active privately preserved examples – 6023 King Edward II and 6024 King Edward I. Here’s 6024 brightening up Warrington, in Cheshire. 6024 has recently been repainted in the early BR blue – judged by many to be less successful on the Kings than on the LNER’s Peppercorn Pacifics. And we should note that when the time came to draw down the curtain on British mainline steam, and the last engine was built, it was at Swindon. A 2-10-0 designed for ease of maintenance and brute power in heavy freight service, it was as far from a racing thoroughbred like a King as a steam engine can get. But Swindon gave 92220 Evening Star the full Great Western treatment – lined Brunswick green, copper chimney, brass detailing and nameplates – before she spent her brief working life hauling iron ore trains over the hills of north east England. To see these engineering pinnacles, you need to go STEAM at Swindon, where 6000 proudly wears her B&O bell, alongside 4073; the NRM at York, for 4003; or the Great Western Society’s base at Didcot, on the original GWR main line. All are well worth a day’s visit. However, we won’t see sights like this at Swindon again – how much do you want to be that photographer? Wow. Thank you for this. Not being a train observer, so little of this is known to me. Most interesting. Keep ’em coming. Wonderful article, Mr. Paws! Learning about the 7′ gauge in the second paragraph really set the hook on me. This was a terrific way to start a Sunday morning. Thank you! Great piece, thank you for that. The film of 6024 blasting through Warrington is terrific – this is how these engines should travel: fast! I took a railtour drawn by King Edward I from Paddington to BTM on the billiard table a few years back, and it was a really glorious experience. Gotta hear my copy of “The Big Express” now. These locomotives are pretty impressive but why can’t European locomotives use a whistle that doesn’t sound as wussie as the horn on a Prius? Check out a video of an American steam locomotive and be impressed by the chime of a powerful and magical sound. There may be a reason for that: American rights-of-way are much less controlled than in Europe, perhaps necessitating a louder whistle or horn. Yrs. ago, when my son & I by chance caught up with Santa Fe 3751 at Pomona Station, we were standing close by when it blew its whistle with a full head of steam; it was deafening. Generally, British railways are fenced and crossings more carefully guarded than in the USA. Also, their railways were engineered and planned more carefully whereas US railroads were more hurried and and cheaper built at first. Very nice writeup, thanks and a good video as well. Thanks for including the Flying Scotsman as well, just last week my son and I rewatched the old Top Gear where they have an episode-long race from London to Glasgow between the Flying Scotsman, a Jaguar XK120 and a Vincent Black Shadow. A fantastic episode with stunning train footage and magnificent car and motorcycle time as well. It really gave context to the speeds involved. (Amazon now has most of the old seasons included with Prime membership). Watching the film was very interesting – seeing how much hard work was involved, the dirt, heat and the mechanical issues that cropped up along the way along with the sheer power (wheelspin at 70mph IIRC!). I know the show isn’t a documentary but it was a great glimpse into the actual operation. I guess these might be appropriate for this CC. needs a face and an offputting personality. sorry, we just recently began to clean up closets at home and i found all the thomas stuff in a box……. seriously amazing amount of research went into this. thanks. Another superheated hit. Thanks for this in-depth look art these impressive engines. I’ve always had a fascination with the GWR, especially the early broad-gauge era, with its single-driven axle locos with giant wheels. I’d have loved to see them in action. I didn’t realize that this long and illustrious line of GW locos had their origins in the de Glehn engines. He was truly one of the greats in this field. Churchward certainly admired the accuracy of the French de Glehns calling them “watchmakers’s work”. Following that lead Swindon did build to higher tolerances than was customary in Britain at the time, which went hand-in-hand with his standardisation policy. While they may have cost more to build it must have helped no end when it came to maintenance as well as making it possible to recycle parts into new designs which was done quite a bit in the 1930s. What is it with Belgians & boilers? Peter Mayle quoted a French plumbing contractor declaring that Belgian home-heating boilers are superior to French. The Belpaire Firefox was used Stateside by Pennsylvania & Great Northern railroads. Thank you Big Paws, I really enjoyed reading that well researched and illustrated story! Can we have an article on the Southern double ended peat burners for Christmas, please. I promise to be really good. welcome back sir! you have been missed by myself and many others I am sure! 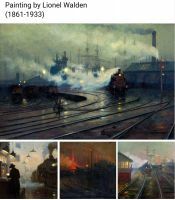 Another fascinating article; as a novice railfan (who knew next to nothing about British rail) I’m learning a lot! Thanks for the excellent work.